Guide books put a lot of emphasis on Neapolitan architecture of the 17th and 18th centuries; that is, the Baroque and Classicism of, say, Fanzago and Vanvitelli, respectively. The city, however, is much more than that. There have been at least three periods of massive construction in the last 120 years. The first was the risanamento, the remaking of various quarters of Naples (indeed, the creation from nothing of entire city blocks (!) on land fill at Santa Lucia, for example); that period (1885-1915) left behind hundreds of structures in the so-called "Liberty style" (generally termed Art Nouveau in English). Personally, I like that style and still find it aesthetic and a pleasure to look at. The second period was the 20-year period of Fascism. That wave of construction left behind in some cases the overpowering government buildings typical of those same decades in many places in the world. (See Fascist architecture.) In Italy, the new style was called Rationalism. Indeed, there were entire new Rationalist towns built on the reclaimed marshes south of Rome, towns such as Latina and Sabáudia. The style was marked by being very functional and clean, yet not unpleasant to look at. Solid and pleasing, at least to my eye. The third period was in the decades following WWII, a time of cracker-box overbuild in Naples—some of it dangerous and none of it easy on the eye. Ferdinando Chiaromonte was an architect who lived through periods two and three. He contributed greatly to the construction of the Fascist period. 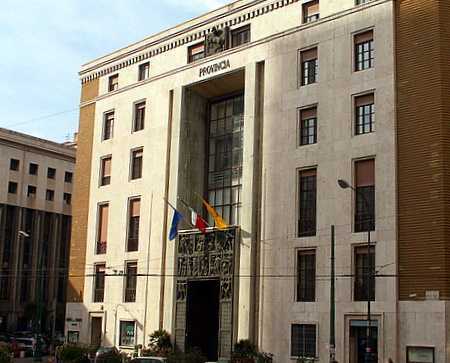 He was one of the architects (with Marcello Canino) of the gigantic Provincial Administration Building (photo, above) across from the main post office at piazza Matteotti. That building was finished in 1936, more or less at the same time as the other buildings of similar style in the area and all of which help define the style of Rationalism. 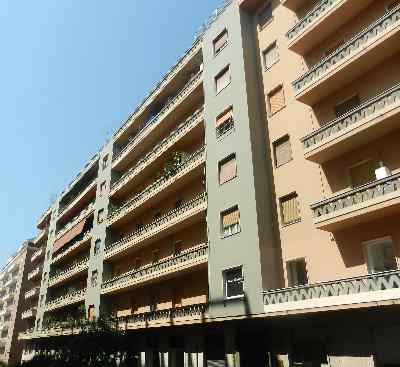 Chiaromonte also designed similarly Rationalist residential units in the Chiaia section of town (photo #1 below), another area of Naples that was object of intense urban renewal in the 1930s. The area is outside of the immediate center of Naples and is one of the "suburbanized" parts of the city. Most of those building are from the years 1950-80, although Chiaromente's contributions are from the earlier Fascist period. Chiaromonte and others of his generation were in their fifties when they were called upon to resist the wave of cheap and ugly construction that was part of the post-war Italian economic miracle. He did his best to resist the shoddy ugliness of the immediate post-war period. 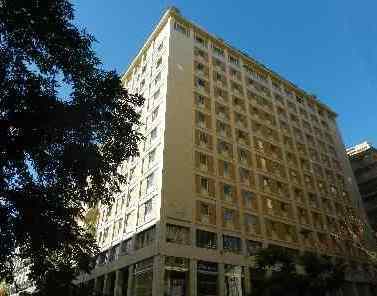 His Renaissance Hotel Mediterraneo (photo #2, below) is from 1958 and is a good example of holdover Rationalist architecture. He didn't just design buildings; he also taught at and, indeed, helped develop the architecture department of the University of Naples.